From kid-focused activities to events that welcome the participation of the whole community, summer is the perfect time to take things outdoors. The warmer, sunnier weather makes conditions ideal – but they can also make things more dangerous. Over the past few years, the EPA has reported a marked increase in heat waves that show no sign of going away. In fact, environmentalists expect that heat waves will worsen in intensity as well as in frequency. It’s essential for your church to know how to beat the heat and prepare for potential heat-related dangers during any activities you host. Set up designated areas where water is readily available to all guests and members of your event staff and encourage everyone to drink BEFORE they start to feel thirsty. This is especially important because the body naturally cools itself by sweating. By the time that someone feels thirsty, they are already dehydrated. Be mindful of the heat index on the day of any scheduled outdoor event to beat the heat and plan for dangerous levels of heat and humidity. Create areas where shade or air-conditioning is available to anyone who might need it. If someone starts to overheat, having these designated areas will be crucial in keeping them from suffering heat exhaustion or heat stroke. Air-conditioned rooms are the most preferable, but a fan-cooled tent that provides ample shade is also a wise option. Before the event begins, contact local authorities and emergency services to know if they require that you have on-site emergency services or if they are available to you. Heat fluctuations during the day should dictate when physical labor such as set-up and take down occur. Limit these activities during peak times when the heat index is the highest. Recognizing and knowing how to respond to heat-related illnesses such as dehydration, heat exhaustion and heat stroke is essential. Each occurs when the body is unable to cool itself solely by sweating and is losing more water and salt than it is taking in. Event teams should learn to recognize the signs and symptoms of heat-related illnesses and know how to address them in order to prevent serious emergencies. 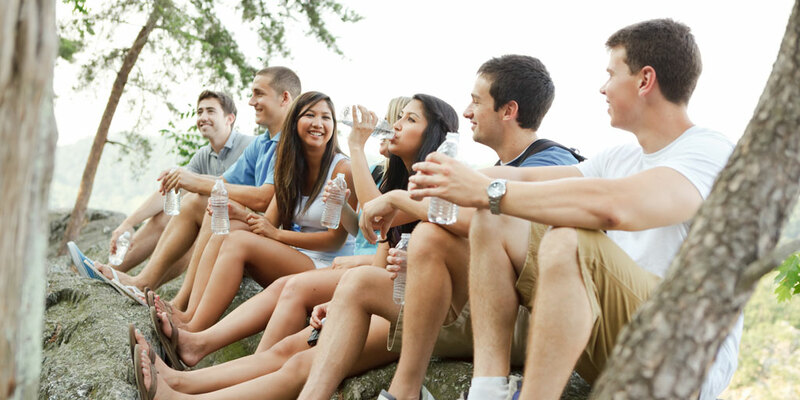 Care: Instruct the individual to sit in a shaded or cooled area and drink fluids. Care: Have the affected individual lie down in a cool location and apply cold, wet cloths to as much of their body as possible. Replace tight-fitting clothing with looser, lighter-weight clothing. If they have been vomiting and it continues, immediate medical attention is necessary. Care: Call 911 immediately. Heat stroke is a major medical emergency, so move the individual to a cool environment and try to quickly reduce their body temperature with cool cloths or by submerging them in a cool bath. Never give them fluids. All events should have access to a fully stocked first-aid kit and all staff and team members should have knowledge of how to react in the event of a medical emergency. When your church is trying to beat the heat, there’s no better tool than preparation. During our years of service as an insurance provider focused on meeting the needs of churches, non-profit organizations and Christian schools, we at Beacon Insurance Agency have formed relationships with GuideOne Insurance and Church Mutual. These partners reinforce our ability to serve the many needs of our clients and provide access to invaluable safety resources that guide them in the various ways they serve their communities. We know the importance of staying safe and we want our clients to have everything they need to serve as safely as possible. Beat the heat and keep your outdoor events safe to enjoy! Call the experienced agents at Beacon Insurance Agency to learn more about the insurance coverage and safety resources we offer today!